October 8th 1957. Jerry Lee Lewis was not the only early rock-and-roller from a strict Christian background who struggled to reconcile his religious beliefs with the moral implications of the music he created. He may have been the only one to have one of his religious crises caught on tape, however—in between takes on one of his legendary hit songs. 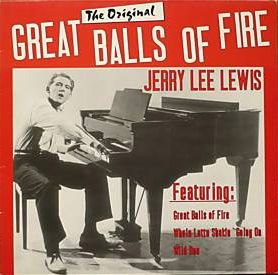 It was on October 8, 1957, that bible-school dropout Jerry Lee Lewis laid down the definitive version of “Great Balls Of Fire,” amidst a losing battle with his conscience and with the legendary Sam Phillips, head of Sun Records. Lewis: “How can the devil save souls? …I got the devil in me!